When Lois's new hometown of Green, Louisiana is hit by a devastating tornado Chris and Lois must postpone their honeymoon in order to help out their beloved town. Many families and businesses have been uprooted. As the owner of the only paper in town, Lois and her crew must help keep people informed. 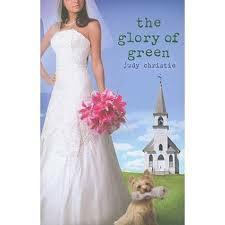 The reader is able to truly see "the glory of Green" as neighbor helps neighbor and as the town of Green slowly builds itself back up. I really enjoyed The Glory of Green. Yes, the tornado was devastating, but seeing how the town comes out to help each other is a great reminder to all of us to love our neighbors. Lois and Chris are perfect examples of people who put their own needs second to those who had greater needs. I'm like Lois in that I'm a bit skeptical about Dub's sudden change of heart, but it seems that he has become a more caring person. He has a lot to make up for all of the trouble he caused her while Chuck was alive! I love all of the characters and am looking forward to the next book in the Gone to Green series!